Marcus Schmieke, born in Oldenburg in 1966, is a pioneer of Vedic architecture in Europe and the founder of Vasati with his numerous books. After his studies of physics and philosophy in Hanover and Heidelberg and his initiation into a Vedic student succession, he undertook longer journeys to India. There he studied Vasati, Vedic Astrology, Sanskrit and Vedic Philosophy and Metaphysics in various monasteries. He completed his Vasati studies with distinction at the prestigious South Indian institute Vastuvidyapratisthanam and learned Vedic astrology from various masters of Northern India. With the foundation of the Vedic Academy at Schloss Weißenstein in 1996, he created an institute for the integration of science and spirituality that made a name for itself beyond the borders of Germany. Based in the Saxon Switzerland since 1998, the research and teaching of the Vedic Academy focuses mainly on Vasati (Vedic architecture and room design), Ayurveda, Sanskrit and Jyotish (Vedic astrology). Numerous training and distance learning courses have been developed in these areas. In 2004 he also founded the European Academy of Vedic Sciences, which taught Vedic Sciences worldwide via the Internet and through local seminars in the local languages. The online courses developed during this time are still being continued in English by the Vedic Academy. Marcus Schmieke’s most comprehensive Vasati book The Power of Living Space (Kraft lebendiger Räume, 2000) has become a standard work of Vastu in German. In his book The 12 success laws of proper living (Die 12 Erfolgsgesetze des richtigen Wohnens, 2001), he formulated for the first time an open system of architecture based on twelve universal laws of nature. On this basis he developed the first Vasati training and the first Vasati distance learning course in Europe. He supervised Vasati students in more than twenty countries. His seven books on this subject have been translated into more than 15 languages and have even been published in India, the country of origin of Vastu. 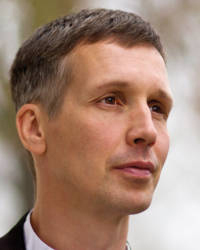 In 1994 Marcus Schmieke co-founded the magazine Tattva Viveka as a forum for science, philosophy and spiritual culture. This was followed by various book publications on science, life processes and consciousness. Important works from this period are Das letzte Geheimnis (1995), Das Lebensfeld (1997) and Feinstoffliche Energien in Naturwissenschaft und Medizin (1997). In 2002, the International Institute for Predictive Astrology (Fairfield, USA) appointed Marcus Schmieke as President of the German Department. The Institute authorized him to train in Systemic-Vedic Astrology and to award degrees. From 2001 to 2004, together with a group of architects, he planned a Vasati housing estate for the Gartenheim housing association in Hanover with more than 100 residential units, which was completed at the beginning of 2005. During the same period he also implemented Vasati in the construction of more than 100 new homes, Ayurveda clinics, nursing homes, hotels, production buildings, commercial buildings and in the redesign and correction of many buildings. Marcus Schmieke has also conducted intensive research and published in Vedic astrology. With his textbook on Systemic-Vedic Astrology he combines the teachings of two of the greatest contemporary masters of Vedic astrology into a practical system that can be taught and understood in one to two weeks and at the same time has a deep spiritual background. His books Vedische Astrologie in 7 Tagen (2002 & 2016), Dein kosmischer Bodyguard (2002), Das Edelsteinorakel (2002) and Planeten Essenzen (2003) deal mainly with the implementation of Vedic Astrology in practical life. The very simple Burmese astrological system described in the book MaHaBote (2004) is also interesting. 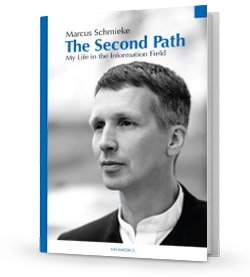 In his book “The Second Way”, published in 2015, Marcus Schmieke describes his insights and realizations on the topic of inner transformation and spirituality with reference to the concept of the ubiquitous information field. In this work he summarizes his research on information fields in the natural sciences and medicine, which has been ongoing since the mid-1990s, and describes his path to the practical implementation of these findings. Based on the concept of the information field, TimeWaver, developed by Marcus Schmieke, is a medical diagnosis and therapy system based on quantum-physical modes of action. The TimeWaver group founded by him is internationally successful and now serves more than 2000 doctors, therapists and professional users worldwide. With the Healy, he developed the first medical wearable that can treat a wide range of diseases under the control of a smartphone and is intended to serve holistic health care. Although these systems are not recognized by conventional medicine, he sees them as an important addition with the goal of integrative medicine. One goal of his work in this field is to lead energy and information field medicine to scientific and social recognition in the future. 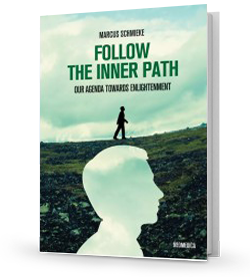 In 2017 Marcus Schmieke’s book “Follow the Inner Path” has been published, in which he brings quantum physics and depth psychology together to describe a human consciousness and to develop a path to inner wholeness. It represents the most up-to-date and comprehensive insight into his philosophical thinking and practical work to date.